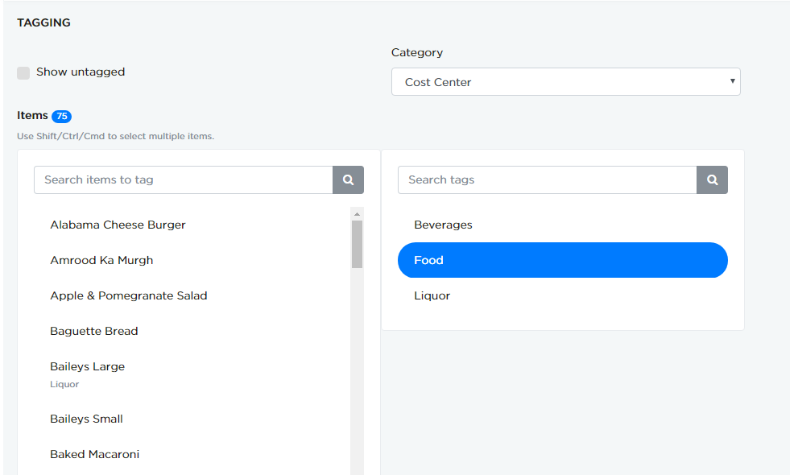 You can classify the menu items based on cost center and your menu. Multiple users use the system and not everyone will be interested in seeing all categories. 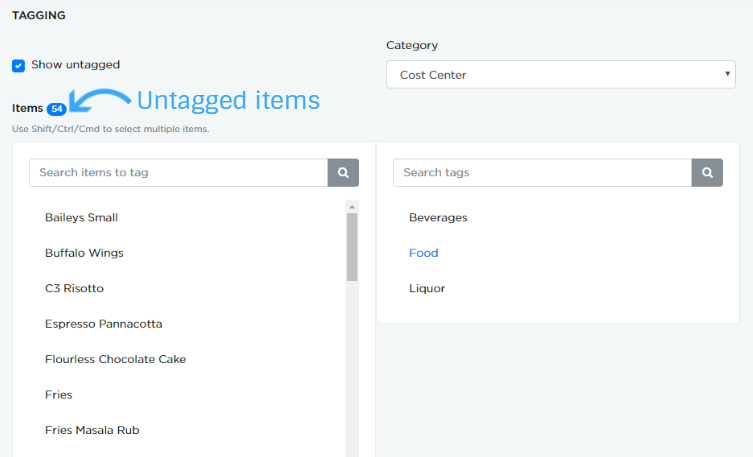 This helps in filtering and listing based on applied tags. This button will not be present if menu item based classification is not added in "Settings->Categorization and Tags". Instead you will see the "Add Categorization" button. 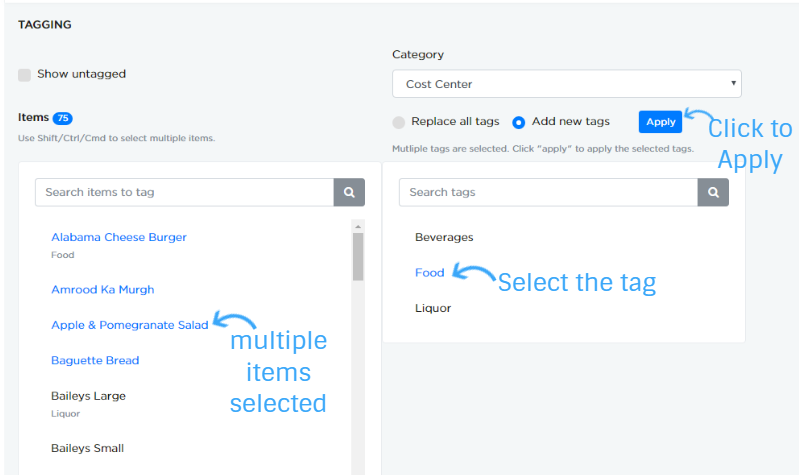 Categorization is optional, but highly recommended as it will help you filter the menu items based on tags. 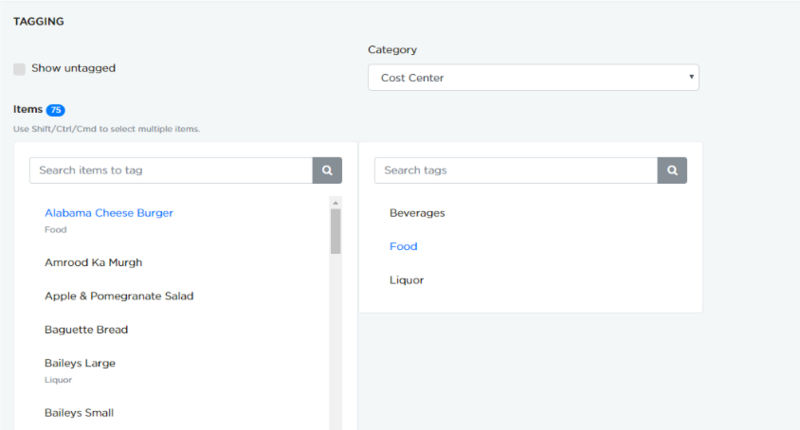 In this case, a categorization called "Cost Center" and " Menu" are applied to this Menu item module. Multiple categorizations can be applied to every module. 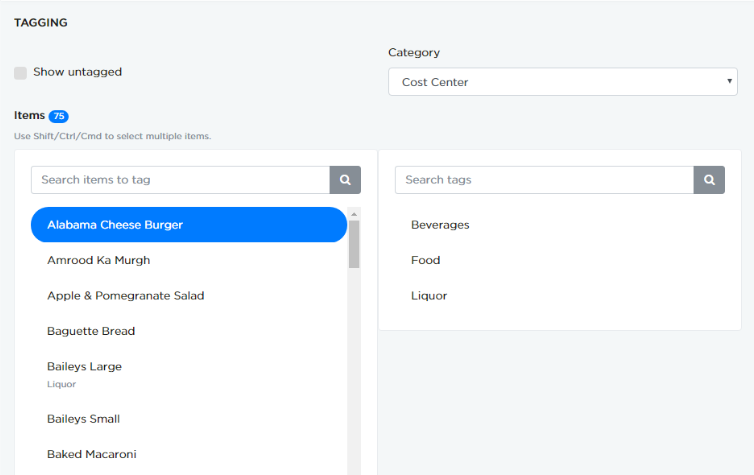 Now you see "Alabama Cheese Burger" item is tagged under "Food"